This hotel is located in Taipei, Taiwan. These particular fixtures may be found in the Hollywood Underground - Basement Floor #1. These pictures were submitted by an independent contributor. He writes: "These are infrared controlled urinals (my digital camera actually caught the beam of the far right urinal). 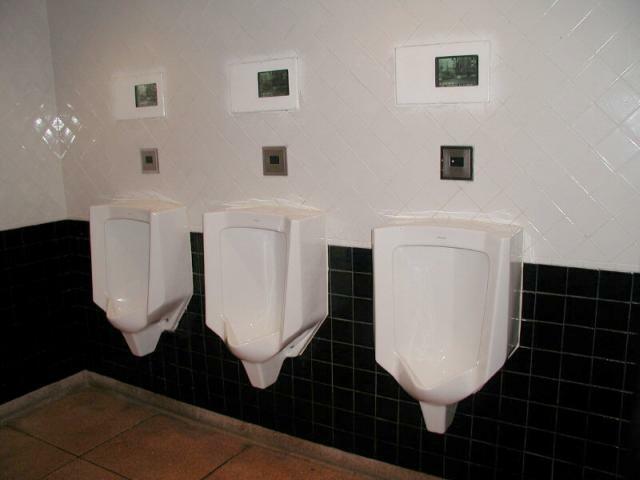 Above each urinal is an LCD TV monitor hooked into local television cable. It was tuned to local news."